Having an attention-getting sign is critical for your local businesses – no matter the industry. Your business signage identifies your business and location and it establishes your business image. 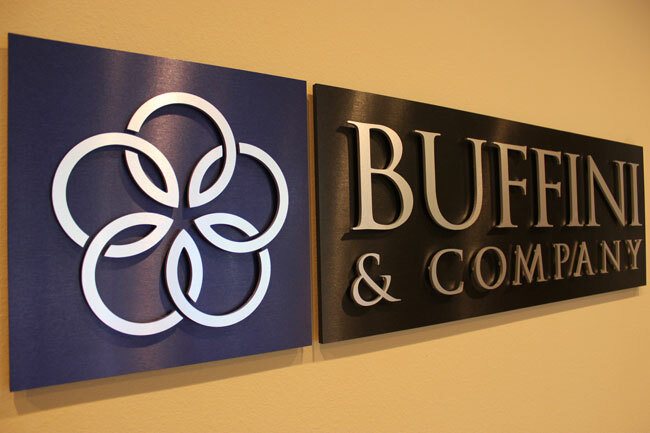 Your business signage is the core of your brand identity strategy, whether it is proudly mounted on the building, on your booth or display at a trade show, or on your company vehicles. It’s also the most cost-effective advertising you can do. The Small Business Administration says, “…signs are the most effective, yet least expensive form of advertising for the small business.” Building signage is often taken for granted, but signs are always on the job, advertising 24 hours a day, 365 days a year. Your business signage is the only indicator that you exist and would like your prospect’s patronage. 2. A frequently-noticed business sign sends your message to more people per dollar invested than any other form of advertising. For example, if you display a $200 sign for one year at a location where 10,000 cars pass every day, you’ve reached over 3.5 million people (not counting passengers), at a cost per person of less than $.000057. (Less than six hundred-thousandths of a dollar.) Even a high-end, lighted or monument sign that costs $5000, still reaches those people at a cost of $.0014, or a little over a tenth of a cent each. 3. 95% of retail business is location-based. As consumers pass by your place of business, an attractive and effective on-premise sign will leave a positive impression. When the time comes to make a decision or purchase, consumers will be attracted to you. 4. It helps your business stand out. About 40 million Americans move annually to a new home, all needing to buy goods and services, and looking for brands that stand out. 5 Enhanced sign technology allows sign faces to be easily changed to match evolving marketing circumstances. New developments in lighting, plastics, digital printing resolution, and color profiling mean signs can now achieve the same visual effect as four-color magazine advertising. 6. Your company does not need to be a national franchise with a major advertising budget to “brand” your site with effective signage. If appropriately designed and placed, your sign can develop top-of-mind awareness of your products and services, no matter the size of your business. Many communities and cities have strict sign codes requiring that signage remains attractive and in harmony with the look and feel of the community, while encouraging business activities. Advances in sign design and technology means that via signage, your company can communicate more effectively to potential customers in a way that enhances both your site and the community at large. 8. Purchase habits can be influenced with effective signage. Pricing or product information can influence a purchase decision or prompt an unplanned stop, which is critical, since nearly all businesses rely in part on impulse visits. A well-designed sign can provide a positive perception of quality and service and create the image of a leader, even for the smaller business. For the national franchise or chain, on-premise signage reinforces all other media advertising, and maximizes advertising effectiveness at a low cost. By adding your business signage to your car and “wrapping” your company vehicles with striking vinyl, you can generate over 600 visual impressions for every mile driven At about $0.35 per thousand impressions for a typical vehicle wrap, the cost is almost trivial compared to $3.56 for outdoor advertising or over $20.00 for typical magazine advertising. You are right, a business owner must deliver the unexpected to attract immediate attention. Many times while driving, I have seen restaurants etc. with signs announcing “Good Chinese Food”. Sign should have stated, “Mouth Watering Lunch Menu Today, Buy One Get One Free”. A business will likely not survive when competing with a competitive market. “Business advertising and marketing” must be a cut above competitors. Otherwise like you say, “It is a sure way toward obscurity”!